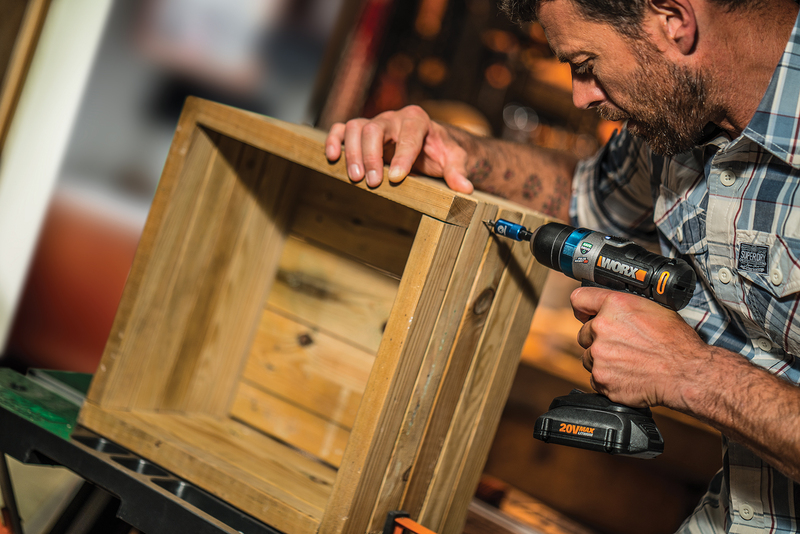 There’s a new drill on the market and the word is out that the WORX® Ai Drill™ is packing Advanced Intelligence. No, this drill doesn’t talk back, but it’s the only driver in the marketplace with its combination of features including the exclusive BitLock™, SafeDrive, and PulseAssist. The Ai Drill has three drive modes including drill, SafeDrive and PulseAssist, which are activated by touch sensitive keypads on the top of the drill. BitLock is a key feature of the WORX Ai Drill. Load a drill or driver bit into the tool’s chuck, and its motorized jaws not only tightens but self-centers the bit, and does it with 30 percent more torque than hand tightening. The motorized jaws also run in reverse to release the bit when it‘s time to swap bits or for storage. To engage BitLock, simply turn and hold the collar ring until the chuck’s jaws have tightened or loosened the bit. Most cordless drills have clutch settings. The user selects the setting based on the material in which they’re drilling holes or driving screws. The WORX Ai Drill has no clutch settings. It relies entirely on the tool’s internal electronics to safely drill holes, drive and remove screws, regardless of the work material. When SafeDrive is selected, it delivers just the right amount of torque necessary to drive the screw and then backs off once the screw head is flush with the surface. With PulseAssist, the Ai Drill applies enough bit rotation to drive the screw snug to the surface without overtightening or stripping the screw head. This feature also works in reverse to back out stubborn screws without damaging the screw head. The drill moves at a slow, optimal speed so it doesn’t strip screws. The 3.1 lb. 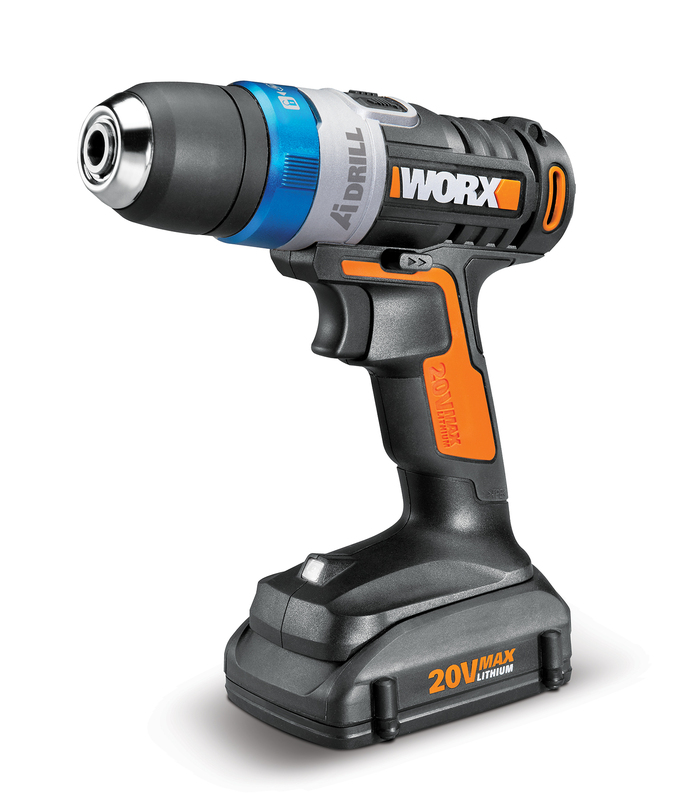 (with battery) WORX Ai Drill is powered by a 20V MAX 1.5 Ah battery. The battery is compatible with other WORX 20V MAX batteries used in WORX DIY and lawn and garden tools. It’s also part of WORX 20V PowerShare program. The MAX battery recharges to full capacity in approximately 5 hours. The drill has a low battery capacity indicator. 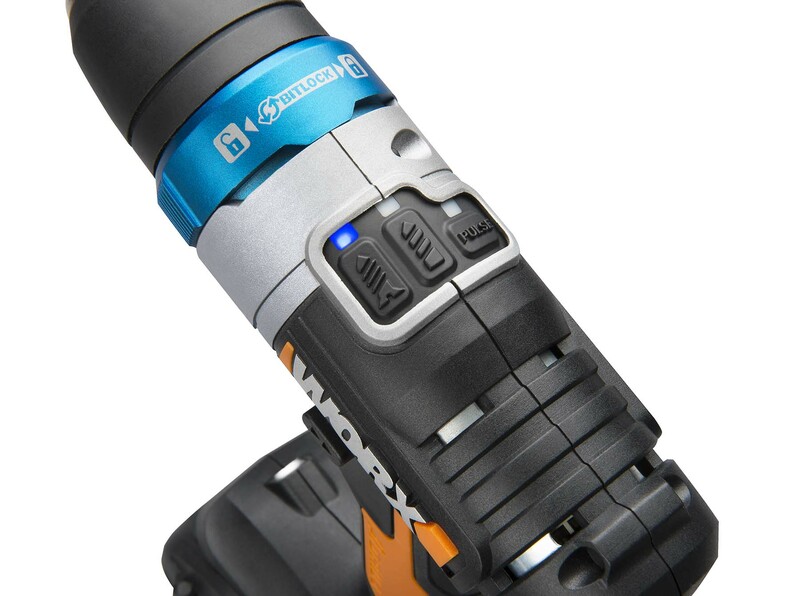 When the battery’s power runs low, the drill’s LED light flashes. The single-speed (0-800, no-load) drill has a 3/8 in. chuck. It’s capable of handling a variety of drilling and driving jobs with 180 in./lbs. of torque. An integrated LED light illuminates the work area and is activated by pressing the trigger. The tool’s drilling capacity is 1 in. in wood and 3/8 in. in mild steel. The Ai Drill includes one 20V MAX battery, 5 hour charger, and a double-ended bit. 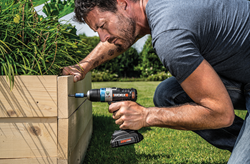 The drill is covered by the WORX 3 year warranty. 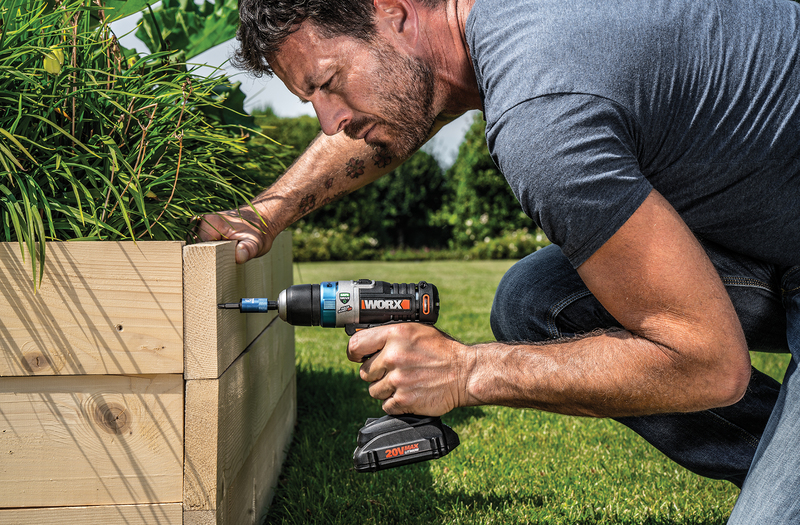 The WORX Ai Drill (WX178L, $119.85) is available at worx.com.